Holding banknifty 26000pe for this expire. Can I Hold? Can I go buy ? Hi Monisha, Good morning. moil can test 191. boi around 91.2. relinfra can test 393.
good mrng cb, yes bank price @287.30 now can i buy for intraday ?? Good morning CB sir, how many more days to hold GSFC and Tirumalai? can we short KPIT on opening? Hi Manoj Babu, has been moving in a range since long. can test 44 again in near term. Hi Aniket Biswas, not really sure whats the news on it. lets wait. Hi Prathmesh, no, dont add more. Hi Monisha, ceat can test 1362. navin around 723. I HAVE BOB AT 130...CAN I RECOVER IT BY EXPIRY?? Hello Cb, please suggest some stocks to enter at current market levels to gain profit? Intraday = YESBNK ? TATAGLOBAL ? VGUARD ? please advise Vedavaag, PDPL and digjam are not moving? what level they can reach in next few months? they are quite below to my price. Any other intraday idea for today ? What is the news on the YES BANK ? Why it fell over 20 percent ? Hope you are doing great. Its been a long time since i have spoken. need your advise to understand if i really still need to hold on to these stocks or exit with the loss ? appreciate your support as always. Dhfl falling big time any news whats up there?? Another satyam kya??? NBFC companies have concerns giving loans to corporate companies. Can I add yes Bank of this level of 235 for next 2 - 3 months ? Sir plz active on page while this type of trading session. 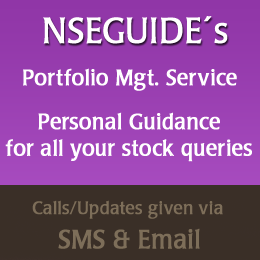 Sir here's we all investors are new so your guidance is must compulsory for us. So plz active more time here. Sir, what happened today ??? Now who ll dare to buy future n options !! Do u suggest to buy LT for buy back? When ll it happens , what is d rule n will it be profitable ?~ pl reply soon. Hi CB your thoughts on BPCL? Can we go long? Any chance for going 300 levels ? Hi Faraz, may take some time. don't add more of it yet. if possible hedge with a pe for now. Hi Ankit, can add some of kscl and lupin for now. Hi John, its near strong support of 109-110 levels. if holds onto it,can bounce back from here. Hi saipalanivel, dont see any news. seems like profit booking. Hi pappooss, oh ok. if still holding others, can hold for short/ med term. will recover once markets improve a bit. Hi Namo, yes, its been flat due to market conditions.. shall update this month. A swing call is still open ? Hi Vijayendra, Good morning. yes, shall hold onto these for med term. once smallcaps start moving these will do well. dont add more of these yet.